The most common place to makeover is a bedroom. Some even do that a lot of times especially if they feel like changing the mood of their bedrooms. Since it is a personal space that doesn’t really have lots of items like a kitchen or living room, it is easier to makeover. But sometimes, a bedroom might even look more appealing than the other spaces of the house because of its being a “personal private space”. I’m going to do a bedroom makeover soon and I was even more inspired when I saw the before and after photos of this bedroom. There really was a huge difference between the previous interior of the bedroom and a current one. You will know what I mean once you see it. And I’m sure that like me, you will love the new look too! 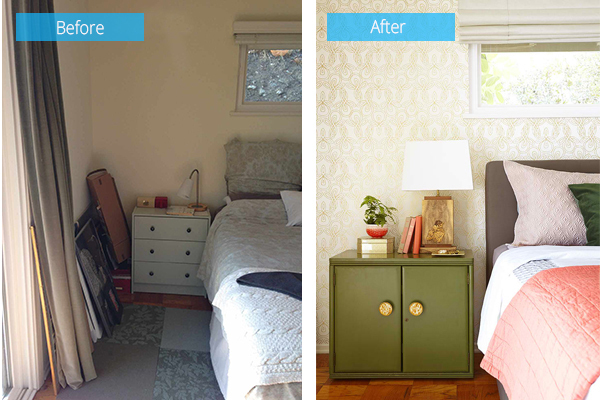 The bedroom makeover belongs to a family in Los Angeles who wanted to bring in more sunshine to their space. 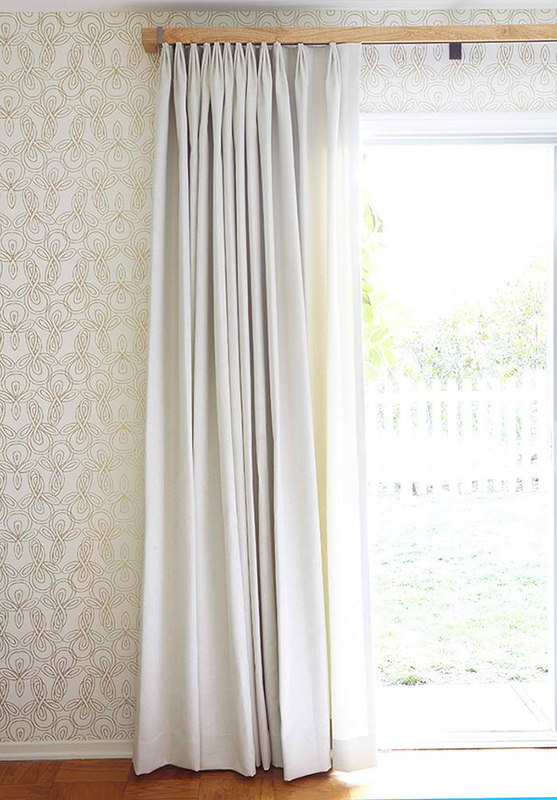 It is a collaboration between Decorview and style expert Emily Henderson. This before and after photo is jaw-dropping. 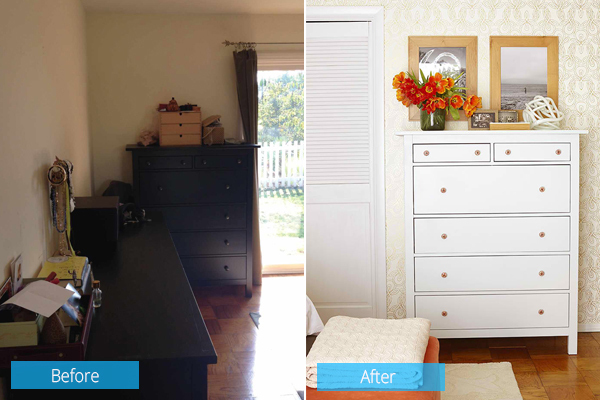 A dreary bedroom was transformed into happy space! The owners wanted to have a sophisticated bedroom and that was given to them by the designers. If you look closely, you will see that the arrangement is still the same only that the colors were changed and what are unnecessary were taken away. The clutter was no longer there. Instead a beautifully painted side table was placed here. 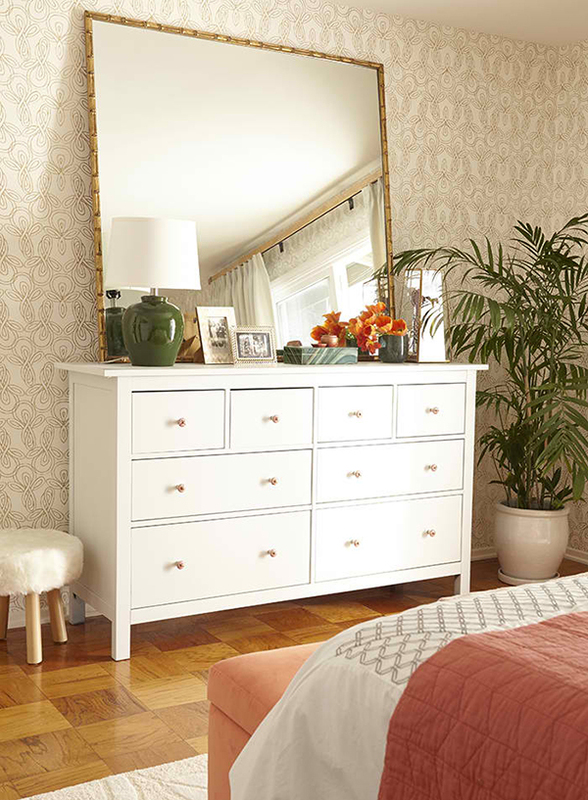 Adding a large mirror in the bedroom allows more light in the bedroom. Repainting the cabinets and other furniture add more life to the space. I like the new colors now than the dark cabinet before. 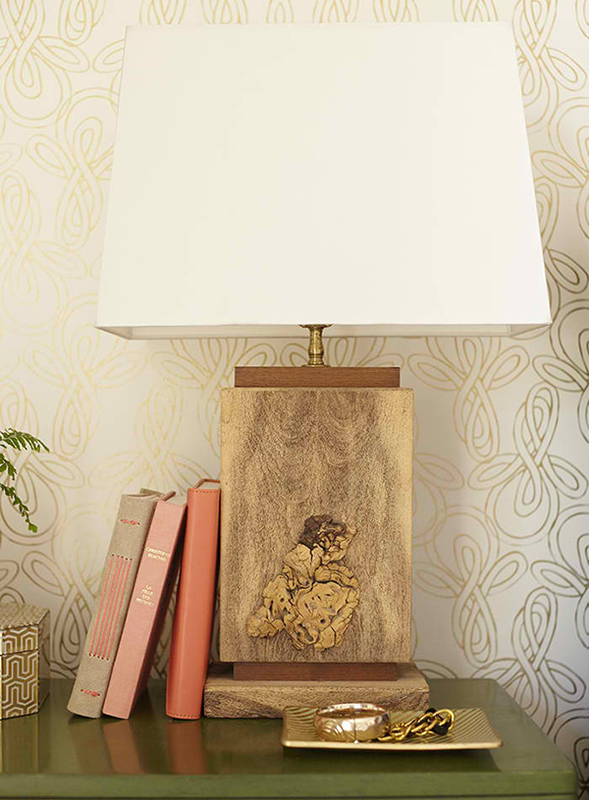 I envy this beautiful lampshade with a wooden base and white shade. It works well as a bookend too! 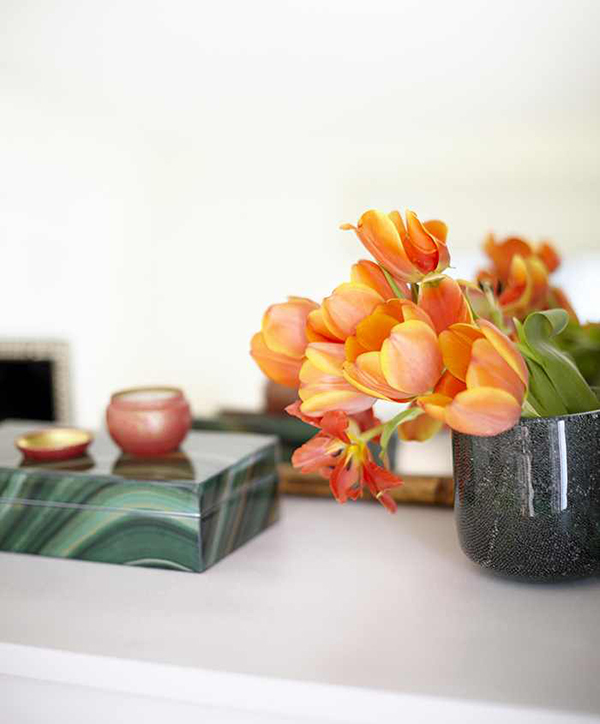 Fresh flowers are perfect to add life to the space. The colors of these flowers are just lovely! 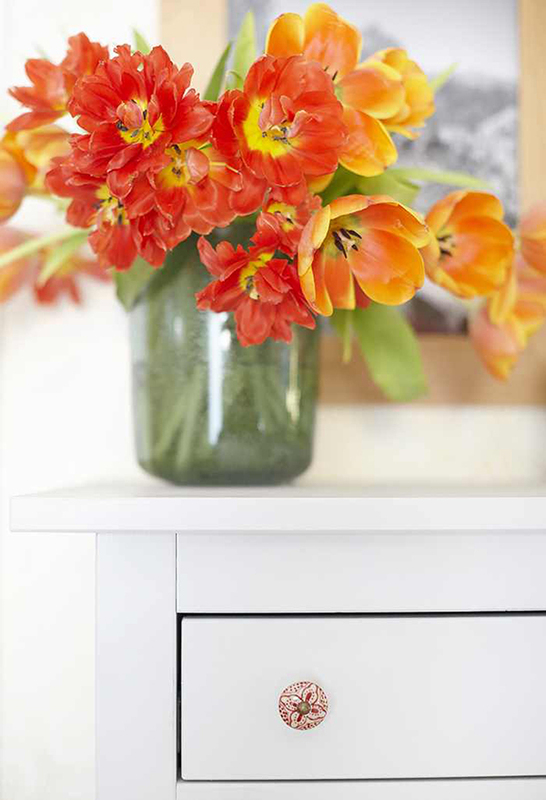 While the blossoms bring charm and beauty to the bedroom, you can draw your eyes to the customized drawer handle too. Isn’t it nice? The bedroom turned out beautiful and full of life. Its gold patterns on the wallpaper added a huge difference to the aura of the space. 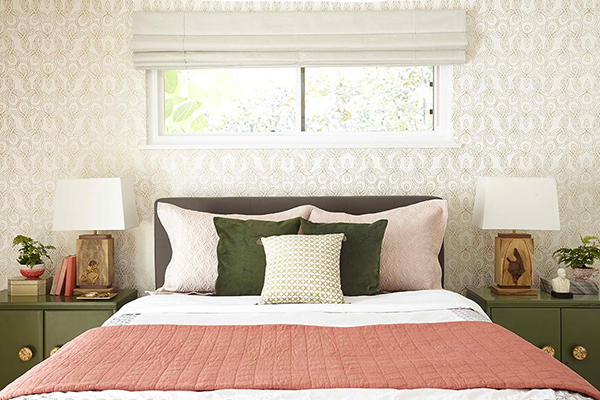 Emily Henderson chose creamy coral, gold and moss color palette for the bedroom with mid-century style accents. The vintage-modern style of the bedroom resulted into a sophisticated and calming ambiance for this private retreat. I like the combination of colors and textures too. 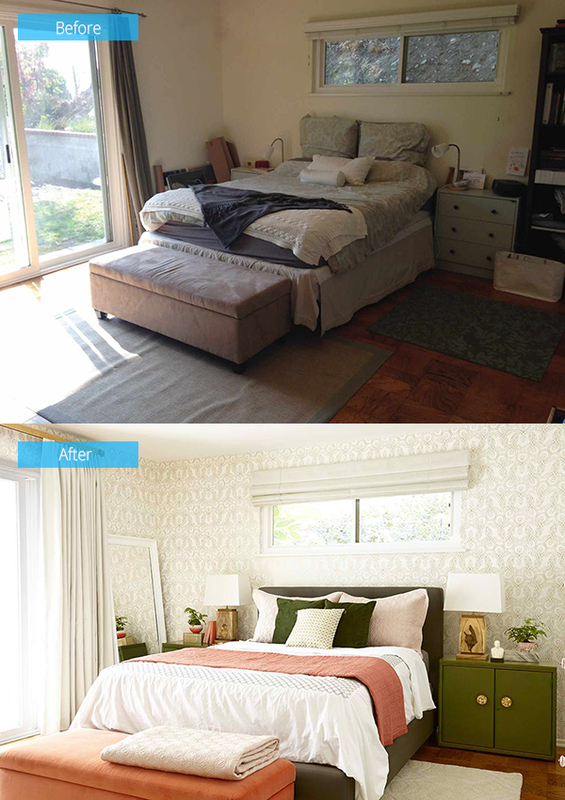 No doubt, Decorview and Emily Henderson were able to give the owner a new bedroom interior that will allow them to get a better rest and sleep. Sure, the aura of a space has a great impact to how mood of the inhabitants too.